Slice of Life: Want to know what to expect in 2015 from social media? 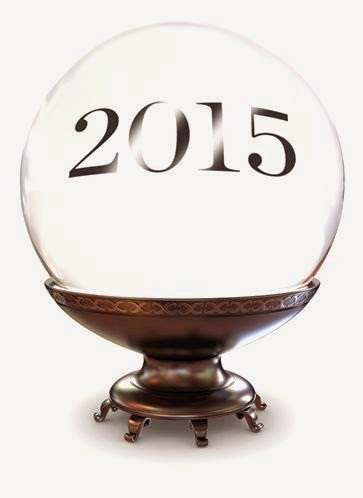 Want to know what to expect in 2015 from social media? Change is pretty much the one expectation when it comes to social media. Predicting for a full year is like throwing darts blindfolded. Social media changes faster than annually but there are some predictions that quite a few social media marketers share. 2015 will see more of the same with more demands on paid advertising for Facebook and now Twitter. More people will flock to Instagram and Google+ and Ello are up in the air. What does this mean for pizzerias? It means start planning to utilize your staff's cell phones to get good pictures of good pizza and figure out the best medium for you to get the word out that you are amazing. Because as #4 will tell you, this is the year that there is no longer a question if you should use social media but instead how to best use it. One trend suggested by Forbes in a recent article is that Google+ will soon be gone with the parting of the CEO and the end of Google authorship. For PMQ Pizza Magazine, Google+ has been one of the slowest growing social media outlets but we have stuck with it because many bloggers recommend it as useful with Google search engines. VentureBeat isn't calling time of death on it just yet saying that it is still crucial for SEO for your website. Ello may actually see a bump in 2015 despite rumors that its growth rate of recent has stalled. The unfortunate bland design has excited many in the art community as the blank canvas lets them fill up the site with their images which then stand out. Engagement is low so far and while several bloggers are predicting it to be the new thing, my guess is it could take another year or two before it gets too popular. Not everyone is ready to walk away from the party on Facebook and Twitter just yet. What is great about Ello? No ads. Ever. Guaranteed for life. Then there is Tsu which is going the complete opposite and sharing ad revenue with its users. Should be interesting to see how people utilize the two new social media darlings. Vine may see number dwindle in 2015 while Instagram has seen nothing but growth, according to one blogger's predictions. PMQ Pizza Magazine has loved the rapid growth and engagement of the platform and notice just how many pizzerias are on there since our favorite food is a natural fit for the social media outlet. We can't say enough about the importance of pizzerias jumping on the band wagon of Instagram as it allows you to really tell the visual story of your pizzeria to a large fan base. #4 - Social media matters! Forbes also calls 2015 the year where everyone figures out that social media is an important must in marketing strategy. We sure hope that you have that figured out already! As important as what content you create is, how you distribute it is equally important. Knowing which platform your audience is on and the best way to get them information is going to be key and not having social media as part of that mix is only going to hurt you moving forward. Afraid to take the leap? I am happy to guide you. Just email me with your social media concerns at melanie@pmq.com. YouTube will finally be recognized as a social media leader. According to the Strategist, brands are finally going to realize the role of video along with the role of still images in their content creation. PizzaTV has been going along for 9 years on YouTube but even at PMQ we are ready to ramp up our game and grow our channel a bit more and include more curation of your content. I think we will see a shift towards Ello as these two social media giants become more and more focused on revenue. Forbes agrees that Twitter's advertising will grow in popularity and Facebook's will become more demanding to even get your content in front of an audience. #7 - What about Pinterest, LinkedIn and Snapchat, Tumblr? There are rumors that Yahoo, who purchased Tumblr previously, may be looking to buy someone like Pinterest. Stay tuned. Social Media Analyst Duncan Gilman predicts that SnapChat may see a competitor rise in 2015 as well but that the market is ripe for a similar type of product that works better. As for LinkedIn, it will continue to grow as the most popular B2B site and authors looking to establish themselves will also continue to grow from blogs to LinkedIn authorship. According to Social Media Today, 94% of B2B marketers are using LinkedIn regularly and that is expected to grow. While we have seen the shift for quite awhile now, mobile will become even more prevalent. Even at PMQ we see about 60% mobile visitors this year compared to about 40% the year before. With the rise of the tablet and increase in smart phone usage, mobile will be the way to reach people. Hence why sites like Instagram and other visual social media is working well. Lee Odden of Top Rank Marketing said its no longer about organic reach in 2015 but it is about integrated marketing and mobile reach.